"Contract: Trouble in the Ancient Forest" will have Geralt tracking down and defeating a powerful force that will be familiar to Witcher 3 players: the Leshen. The quest line will also incorporate "dialogues with other characters, influencing how the story unfolds through choices they make - a hallmark of The Witcher series". Those who complete the contract will earn unique, Witcher themed special items, resources for crafting Geralt's armor and weapons, a unique skin and weapon for the player's Palico companion, plus new gestures, titles, pose and guild card background. All of this The Witcher 3 and Monster Hunter: World crossover content is free to download right now on PlayStation 4 and Xbox One. Between February 15 and March 1, players Hunter Rank 50 or above can also join a new multiplayer event against an even deadlier version of the Leshen. Geralt of Rivia may seem slightly out of place in the "Monster Hunter" universe, but as an otherworldly threat arrives, the Witcher must step up and take it on. 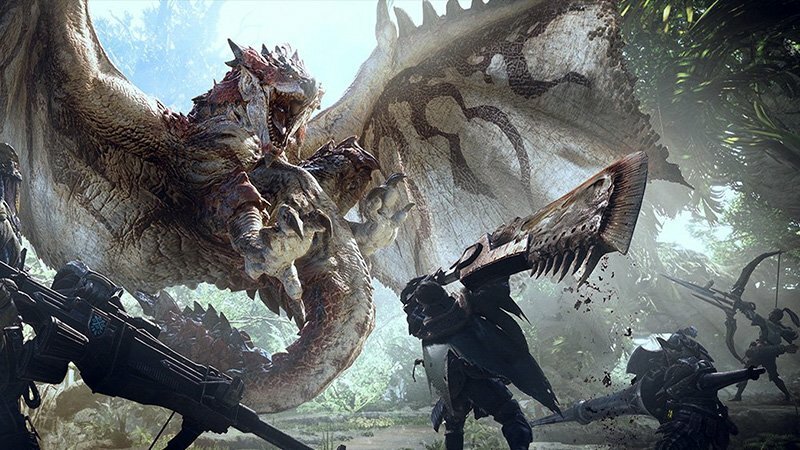 Many fans presumed this The Witcher 3 and Monster Hunter: World crossover would simply be an armor and weapon update of sorts. (It will apparently come to PC at a later date.) The event features an entire single-player questline featuring Geralt, which is teased in the launch trailer. After completing the contract, players can try their luck on the second contract in the crossover called "Woodland Spirit", which some of you might remember as a contract from The Witcher 3: Wild Hunt. The festival brings back most of the game's prior event quests and some new ones. We couldn't have done it, of course, without the close collaboration of CD Projekt Red. It develops and publishes video games for personal computers and video game consoles.